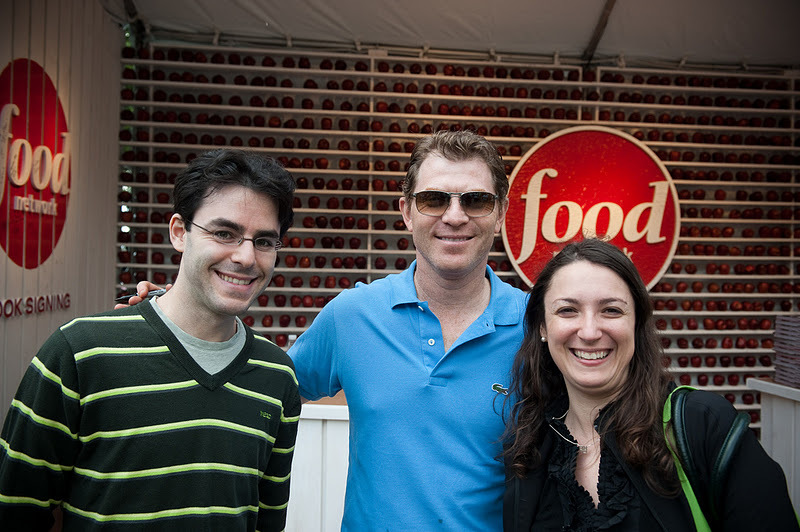 I had the privilege of receiving free tickets to attend the New York Food & Wine Festival again this year, courtesy of ShopRite, as a Potluck featured blogger. I had the opportunity to taste lots of fabulous foods, and try out many of ShopRite's new products that their tasting pavilion. 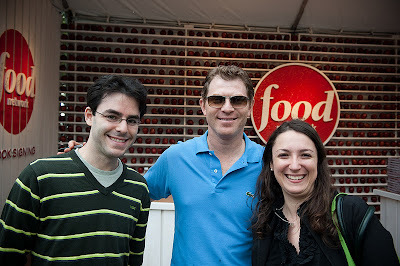 In addition, I had the opportunity to have a photo taken with and of course meet one of my favorite chefs from the Food Network - Bobby Flay. As a huge fan of cooking his recipes over the years, and watching him on Iron Chef America, I got him to sign a copy of his Bar American cookbook, and since then I've been cooking tons of recipes from it that we have really enjoyed. Here's the first recipe of several that we enjoyed trying out from his new cookbook. It's a crisp, chopped apple salad with blue cheese that is healthy and perfect for fall! Combine the ingredients for the salad and toss in the vinaigrette. Happy fall!